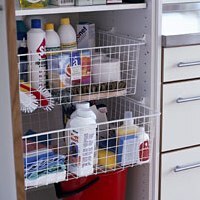 Use our universal runners and ventilated white baskets to incorporate additional storage into existing cupboards and customise without spending a fortune! 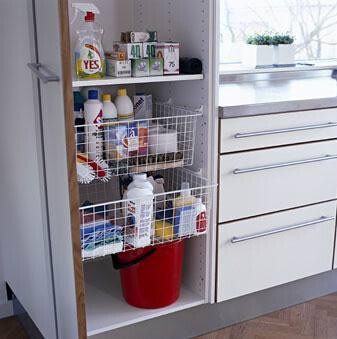 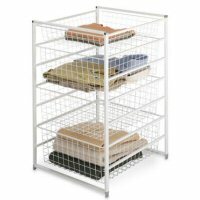 Screw the universal runners into the sides of your existing cupboard and simply slide the basket of your choice into place. 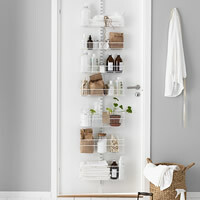 Great for linen in the airing cupboard, cleaning products in the utility room, vegetable storage in the kitchen, and also useful inside an existing wardrobe carcass. 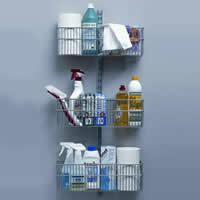 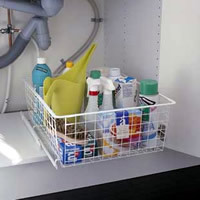 Picture above shows two 55cm wide baskets and universal runners at £23 each in a standard kitchen cupboard. 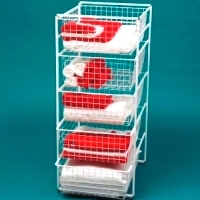 Pack includes 1 x basket, 1 x set of two universal runners and screws.